Do you have heel pain with the first step of the day? 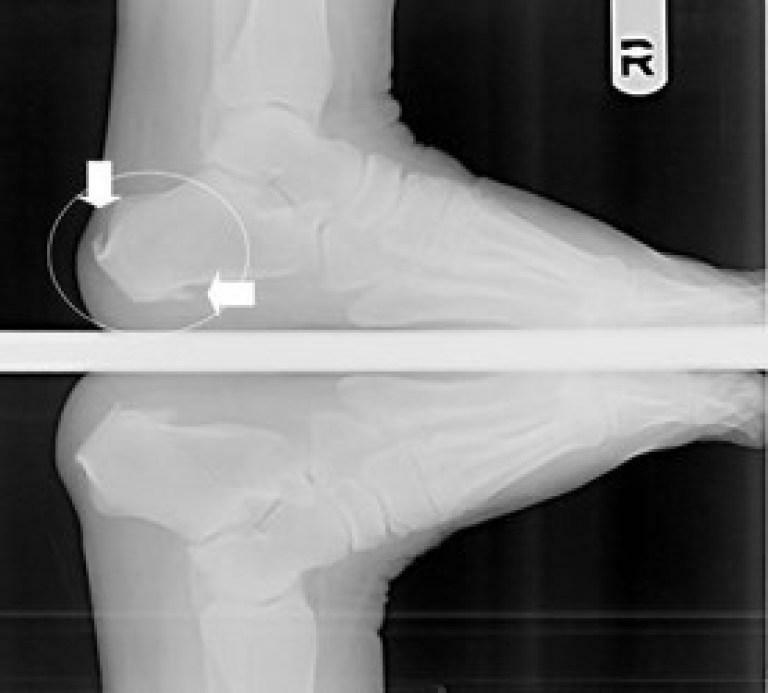 Whether the pain is on the bottom of the heel or in the back of the foot at the Achilles tendon, it is important to understand the nature of the deformity in order to appropriately treat the symptoms. Heel pain syndrome, usually known as plantar fasciitis or heel spur syndrome, is a chronic condition caused by an altered walking pattern. Heel pain is usually present with the first step of the morning or when rising out of a chair after sitting for a long period. It can also be present after walking for long periods of time and at the end of the day. Usually a biomechanical alteration of normal gait, heel pain is easily and effectively controlled without surgery. Orthotic management and control is the most important treatment for long term success in reducing pain and controlling the mechanics of the altered walking pattern. Other treatments include ice, anti-inflammatory medication, steroid injection therapy, stretching, night splinting, physical therapy, and orthotics. Dr. Schoenhaus offers the newest and extremely effectively technology for heel pain syndrome called extracorporeal shock wave therapy (ESWT) otherwise known as orthotripsy. The modality delivers focused shock waves to the body inducing a microtrauma to the area that body recognizes and treats. This is a noninvasive form of treatment only requires three treatments performed on a weekly basis to achieve 80% reduction in symptoms. The newest treatment in heel pain, plantar fasciitis and Achilles tendonitis is PRP. PRP stands for platelet rich plasma. It is a treatment in which one’s own blood is drawn and spun in a centrifuge. This process divides the different types of blood cells. The product that is reinjected into the injured site is rich in growth factors that stimulate a healing cascade in the body. It signals the body to initiate healing that has slowed or ceased causing long term pain in a given area such as the plantar fascia. The benefits are that it is a individual’s own cells that are used. This does not use any energy, grafting, or outside modality making this truly a “green” medical treatment. In most cases, the procedure is done in an office visit and only one session is required. Although this is not covered by insurance, it is certainly the most advanced and cutting edge treatment that has kept a patient out of surgery.